There’s nothing the world over like State Fairs. These surreal, magical cities spring to life just once a year, rising pheonix-like from lonely, clapboard buildings, weedy fields and dusty tracks. The stuff of rich childhood memories, they are anticipated, revisited and relived with pleasure. While agricultural fairs have existed for thousands of years, the State Fairs Americans know and love, unique to the United States, did not emerge until after the Civil War. Prior to that time, the majority of Americans lived and/or worked on farms. Small local fairs were the norm and the focus was entirely agricultural (with a bit of horse racing thrown in). As manufacturing increased and urban areas grew, fairs began to add attractions to entice urban Americans. Freak shows, oddities, carnival rides, carnies, sky gliders, hoochie-coochie girls and so much more were added. The State Fair was born. Yesterday, I attended the Ohio State Fair, just as I have nearly every year of my life. Oh, how my sister and I looked forward to the Ohio State Fair when we were children! Months before the big day, we would start begging for chores and saving our pennies for THE FAIR. 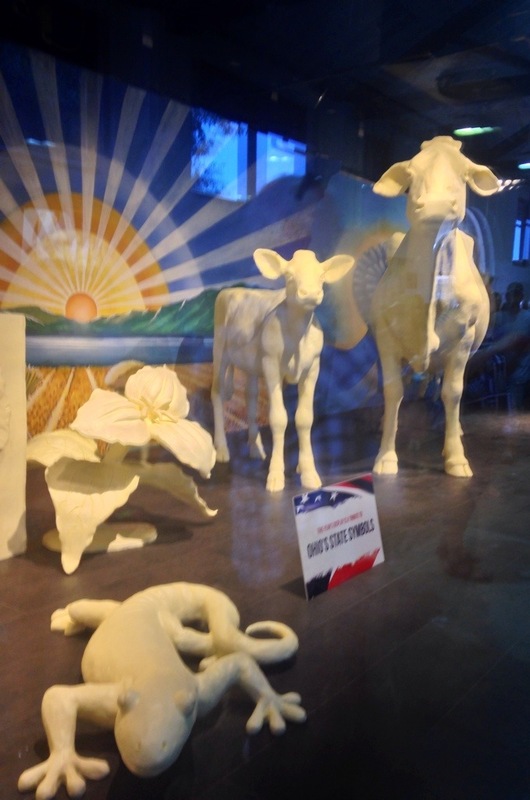 Every State Fair has it’s own special traditions, and one of Ohio’s is the “Butter Cow” and it’s attendant butter sculptures. In 1903, the first Butter Cow and Calf, sculpted entirely of butter, made their debut. In the ensuing years, attendant Ohio-themed butter sculptures were added. This year’s were sculpted with over 2,000 lbs of pure butter! You can read more about the Butter Cow here. Agriculture still plays an important role in State Fairs, particularly in major agricultural states such as Ohio. 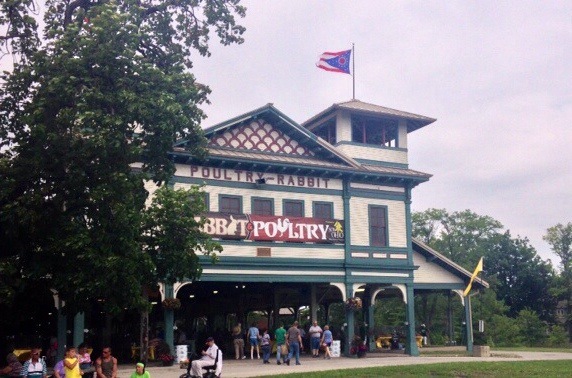 The oldest structure on the Ohio State Fairgrounds is the Poultry and Rabbit Pavillion, erected in 1903. 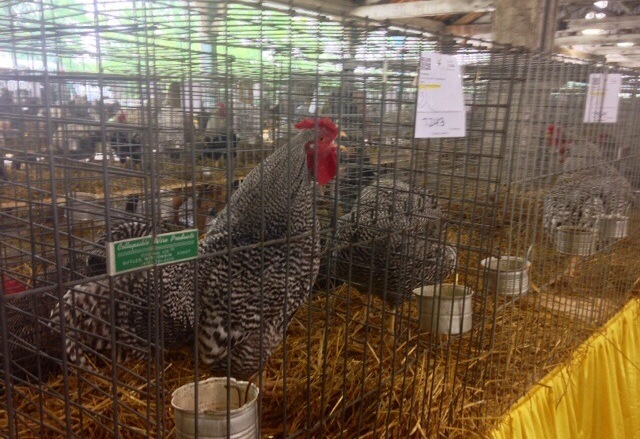 It is the largest poultry fair in the United States. In it, you will see an absolutely astounding array of chickens of all colors and sizes! I never miss it. 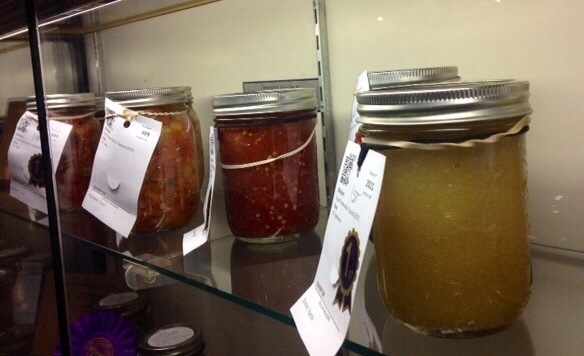 Near and dear to my own heart, canning and preserving holds it’s own honored place at the Fair. With the resurgence of interest in home preserving, there’s been a steady growth in entries. You can see photos and learn more about the fascinating history of the Ohio State Fair here. I have, on occasion, had the pleasure of taking European visitors to the Ohio State Fair and witnessing their absolute amazement (and befuddlement). Truly, there is nothing in the world like a State Fair. I was happy to be in Ohio yesterday.